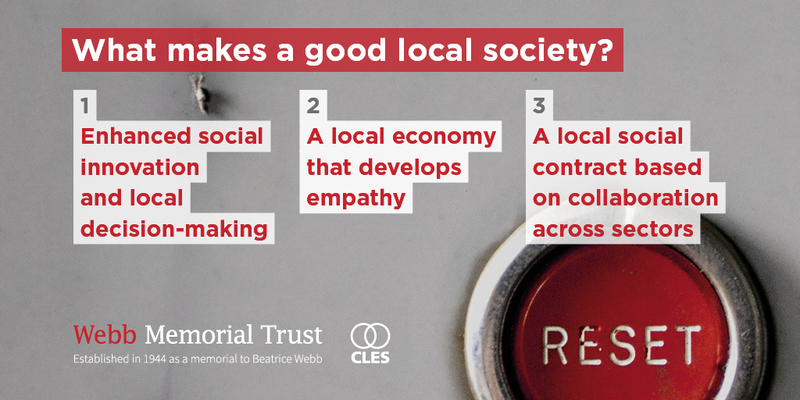 The Centre for Local Economic Strategies (CLES) and the Webb Memorial Trust invite you to the London launch of Forging a Good Local Society, a new publication by CLES Chief Executive, Neil McInroy. Join us to discuss two of the great issues of the day – the localisation of power and the challenges of UK poverty. How do we tackle poverty and create social justice? What does the localisation of powers mean for reducing UK poverty? Do we continue to rely on the trickle down of wealth and an inadequate social safety net, or does the increasing devolution of powers offer a new and progressive local way? 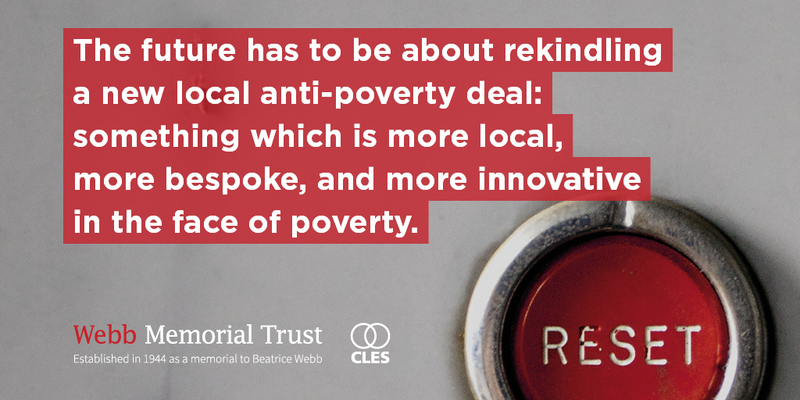 In Forging a Good Local Society: Tackling Poverty Through a Local Economic Reset, Neil McInroy makes a powerful case for a new progressive way. He argues for a new anti-poverty movement, using devolution and progressive local economic development as a catalyst to unleash deeper levels of empathy and innovation. Introducing a framework for alleviating poverty, this publication details the localised agendas which have the potential to usher in a more equitable economy which benefits the many rather than the few. This includes a discussion of key examples, including the role of anchor institutions, citizen power, responsible business and the harnessing of local assets. Forging a Good Local Society argues that there has to be an additional way: one which straddles public, social and commercial actors. One which is more local, more bespoke, more innovative and experimental in the face of poverty. Join CLES for the free launch of this Webb Memorial Trust-funded publication. We welcome attendance from people working across civil society, parliamentarians, researchers and the public. Read Neil McInroy’s blog on Forging a Good Local Society.